The best bets on this weekend’s Italian Serie A program are all under-two-and-a-half-goals plays, with the pick of them concerning the match between Bologna and Cagliari. Only Chievo – more about it later in this article – has had Italian Serie A games with fewer goals than Bologna and Cagliari this season. Bologna’s 28 Italian Serie A matches have had an average of 2.36 goals, with 15 of them going under two and a half goals. Cagliari’s 28 Italian Serie A games have had a mean of 2.32 goals, with 15 of them not exceeding the popular betting line. And then there is the respective home and away statistics. Only one of Bologna’s last 10 Italian Serie A home matches has gone over two and a half goals, while just two of Cagliari’s 14 Italian Serie A away games have rewarded over punters, including none of the last seven. Under punters simply love Bologna and Cagliari. The only negative piece of data is that Bologna won the reverse Italian Serie A fixture 3-0 but it is worth noting that the score was 1-0 when Cagliari went down to 10 men seven minutes into the second half, after which time the home team fell apart and the away side scored twice. Bookmakers are trying to duck bets on under two and a half goals in the Italian Serie A match between Bologna and Cagliari but the best offer, which is odds of 1.62 with Boylesports, is totally acceptable in the circumstances. Chievo entertains Roma in the 29th round of the Italian Serie A competition and one is betting that it will be as dull to watch as each of the last half a dozen encounters between the teams. Under-two-and-a-half-goals punters have had success in each of the last six meetings of Chievo and Roma, including the Giallorossi’s 1-0 home win in October. As mentioned earlier in this article, Chievo is bottom of the Italian Serie A goals-per-games ladder. Chievo’s 28 Italian Serie A matches have featured an average of 2.29 goals, with 14 of them going under two and a half goals. Roma’s over/under numbers are peculiar for a high-flying side. 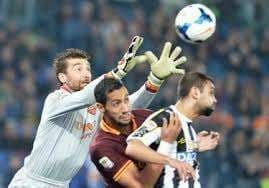 Roma is 16th of the 20 teams on the Italian Serie A goals-per-games ladder, with its 27 matches having had a mean of 2.44 goals and 13 of them going under the common total. No other side on the top half of the Italian Serie A ladder is below halfway on the goal-per-games equivalent. BetVictor is quoting odds of 1.78 about the latest Italian Serie A match between Chievo and Roma running its typically boring course and producing under two and a half goals. Finally, Internazionale against Atalanta completes one’s under-two-and-a-half-goals treble in this weekend’s Italian Serie A schedule. Internazionale supporters have had to sit through a large number of low-scoring Italian Serie A games at the San Siro this term and Atalanta’s statistics suggest that Nerazzurri fans may see another snorefest on Sunday. Atalanta has not featured in an Italian Serie A goalless draw, which makes it remarkable that its 28 matches have featured an average of only 2.46 goals. That is because 16 of Atalanta’s 28 Italian Serie A games have had either one or two goals, with an additional nine producing three goals. Internazionale would be on the bottom half of the Italian Serie A goals-per-matches ladder if it was not for its 7-0 smashing of Sassuolo in September. Even so, Internazionale’s 28 Italian Serie A games have had a mean of 2.68 goals and 17 of them have gone under two and a half goals, including both their last six matches at home and their last half a dozen games irrespective of venue. Internazionale could learn lessons of Milan when it comes to entertaining. Back Under 2.5 goals at 1.90 with BetVictor.